Multiple OSP centers are now able to share active infrastructures. By that we mean there is certain equipment like cell towers, cables etc that can now be shared between different OSP centers (call centers/BPOs or any other IT-enabled service providers). In the article where we shed a light on the infrastructure sharing, we also shed a bit of light on the agreement that shall be signed between the parties. Now, we present you with the format of such an agreement: a Format of agreement to share infrastructure between international OSP and a national OSP. The following is the format for the agreement. It has been explained in its simplest form. Remember, the place where we have inserted these-/**/- are meant to give you an explanation regarding the sections. For Sharing the EPABX of International Call Centre (ICC), Domestic OSP Centres and/or PSTN lines with logical partitioning. For Use of Centralised EPABX architecture. For Deploying the CUG for internal communication of the OSP company with sharing of EPABX. and/or PSTN lines with logical partitioning. Use of Centralised EPABX architecture. THIS AGREEMENT is made on the … day of ….. (month) ……. (year) by and between the President of India acting through Shri ………..................... DDG/Director, TERM Cell (...............), Department of Telecommunications (DoT), Government of India, .............................. ...................................................... (Office address) (hereinafter called the ‘Authority’ which expression shall unless repugnant to the context, include its successors and assigns) of the FIRST PARTY. M/s. ………………………., a company registered under the Companies Act 1956, having its registered office at ………….. acting through Shri………. Authorised signatory (hereinafter called the ‘OSP’ which expression shall unless repugnant to the context, include its successors in business, administrators, liquidators, legal representatives and permitted assigns) of the SECOND PARTY. 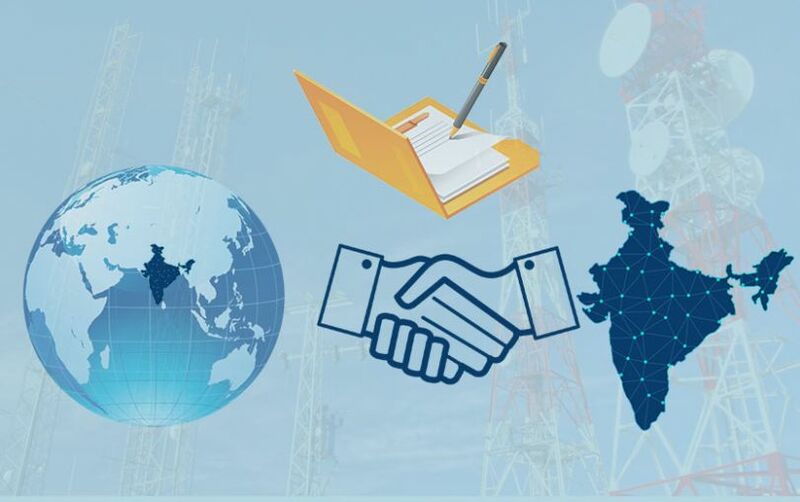 WHEREAS the Department of Telecommunications has the authority to register OSPs, under the Executive Instruction of the President of India. AND WHEREAS the OSP is having/proposes to set up a Domestic OSP Center at …………………………… vide Registration No ……………dated …………… as per the terms and conditions of Registration. ii) AND WHEREAS the OSP is having / proposes to set up an International OSP Center at …………………………… vide Registration No ……………dated ……………. as per the terms and conditions of Registration. Sharing the EPABX of International Call Centre (ICC), Domestic OSP Centres and/or PSTN lines with logical partitioning. Deploying the CUG for internal communication of the OSP company with sharing of EPABX. Whereupon and in pursuance to the said request, the Authority has agreed to Register the OSP for sharing the common infrastructure facility between the International OSP Centre and Domestic OSP Centre and PSTN Lines for office use as detailed above (Please strike out which is not required) (hereinafter called the ‘facility’) as per terms & conditions for Other Service Provider category, as amended from time to time as described in Schedule appended hereto. Registration for such a facility for sharing the common infrastructure shall be valid for a period of 3 years. This may be extended for a further period of maximum 3 years after expiry. The registration will be effective from the date of signing of this Agreement and the agreement shall remain valid till the validity of registration. OSP hereby agrees and unequivocally undertakes to fully comply with all the terms and conditions as described in Schedule appended hereto and shall be binding hereinafter on the OSP. The domestic OSP Centre and International OSP Centre (Please strike out which is not required) shall belong to the same Company. OSP shall set up call center having at least 50 seats. OSP agrees to maintain complete logical separation between the activities of the Domestic OSP Centre, International OSP Centre and PSTN lines for office use. 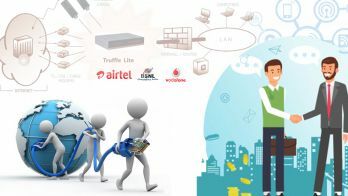 Logical separation should be such that no voice or data traffic shall flow among the Domestic OSP centre and International OSP center and PSTN lines for office use PSTN Lines for office use (Please strike out which is not required) and no bypass of the network of the Authorised Telecom Service Providers shall be caused. OSP shall certify before using the EPABX sharing facility that the logical partitioning as per the terms and conditions of the OSP Registration has been implemented and shall remain implemented. The certificate shall be deposited with the concerned TERM Cell. OSP shall ensure that the system logs are tamper-proof and system logs are preserved atleast for One Year. The Authority reserves the right to call for these system logs on demand and also inspect at site. The OSPs shall maintain usage records (Call Detail records and Usage Data Records) for a period of one year. The OSP shall provide the CDRs and UDRs thus saved/stored to the Security agencies/DoT as and when demanded. OSP agrees to submit a security deposit in the form of a Bank Guarantee for Rs. 1 Crore (Rupees One Crore) in favour of the Department of Telecommunications for the period of such registration in the prescribed format. For extension of registration period beyond 3 years, the OSP shall submit such request for extension alongwith extended validity period of Bank Guarantee, 60 days prior to the expiry date, failing which the registration will lapse without notice. The authority reserves the right to carry out the audit periodically or whenever desires so. The Authority shall have the right to forfeit the security deposit, in case of violation of any of the Terms & Conditions for Other Service Provider category in the Schedule appended hereto, identified to its satisfaction. The OSP shall be liable for any violation of the said terms & conditions by anyone including but not limited to its employees. The authority reserves the right to take appropriate action including cancellation of the registrations held by OSP and the company shall be debarred from taking OSP registration for 3 years from the date of cancellation of such registration. The Directors of the board of a company violating OSP terms and conditions shall be debarred for 3 years from taking OSP registration directly or indirectly. 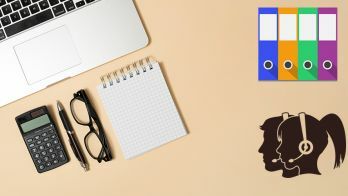 OSP agrees that any information furnished above, if proved incorrect or false will render OSP liable for any penal action or other consequences as may be prescribed in law or otherwise warranted. IN WITNESS WHEREOF the parties hereto have caused this Agreement to be executed through their respective authorised representatives on the _________(day) __________(month), ______(year). DDG/Director, TERM Cell ,............... authorised signatory and holder of General Power of Attorney dated __________, executed in accordance with the Resolution No. _________ ___________________, dated ___________ passed by the Board of Directors. Here is the format that is going to enable you to share infrastructure with international or domestic OSP. Remember to be correct while you are creating this agreement. Better yet, get the aid of the legal and business experts to go through this agreement. It shall ensure that you file the agreement correctly at all times.